LACOSTE is partnering with the beloved PEANUTS cartoon gang for limited-edition apparel available at all of our US boutiques and ecom site. The iconic characters (Snoopy, Charlie Brown, etc) are celebrating their 65th birthday this year and are also releasing a new 3D wide release animation “The Peanuts Movie” via 20th Century Fox ( http://www.peanutsmovie.com/ ). 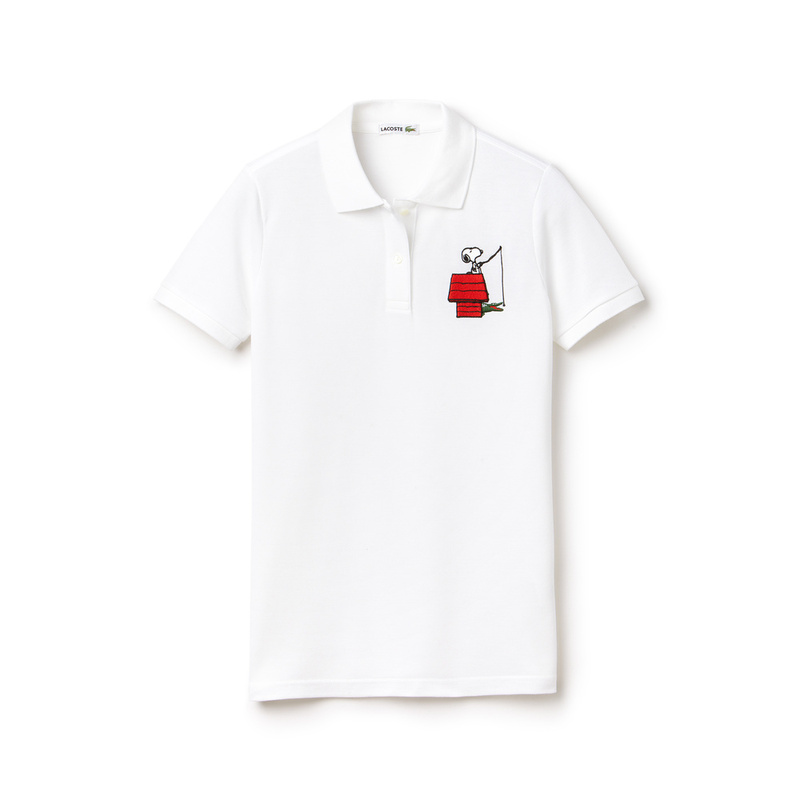 To celebrate this milestone, the loveable 4 heroes are staying active with the LACOSTE croc: Snoopy fishing, Charlie Brown golfing, Lucy playing tennis and Linus in a game of tug of war are all featured on special embroidered pique polos, fleece sweatshirts for men, women and kids! Colors will range from white, navy, grey and black with retail price from $85-$145. 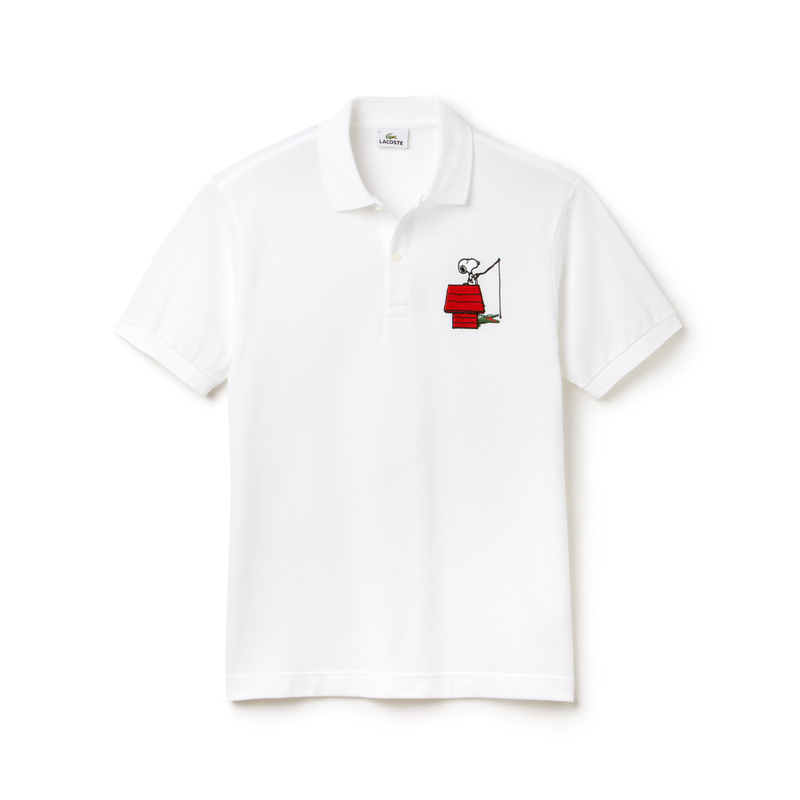 2010 SAW LACOSTE’S FIRST COLLABORATION WITH PEANUTS, CELEBRATING THEIR 60TH BIRTHDAY. 5 YEARS LATER, THE PEANUTS GANG IS BACK BY THE CROCODILE’S SIDE IN AN EVEN SPORTIER MOOD! AN EVENT FETED BY A CAPSULE COLLECTION CATERING TO ALL MEMBERS OF THE FAMILY. Snoopy, Charlie Brown, Lucy and Linus, 4 well-loved characters of the world’s most popular comic strip, team up with the crocodile for a series of mischievous games: Snoopy can be seen crocodile fishing from his doghouse rooftop while Linus gently wrestles the reptile for his blanket, Lucy – ever the perfectionist – talks our croc into a game of tennis and Charlie Brown’s birdie meets a surprising end, caught in the famous toothsome jaw seen popping out of the hole. 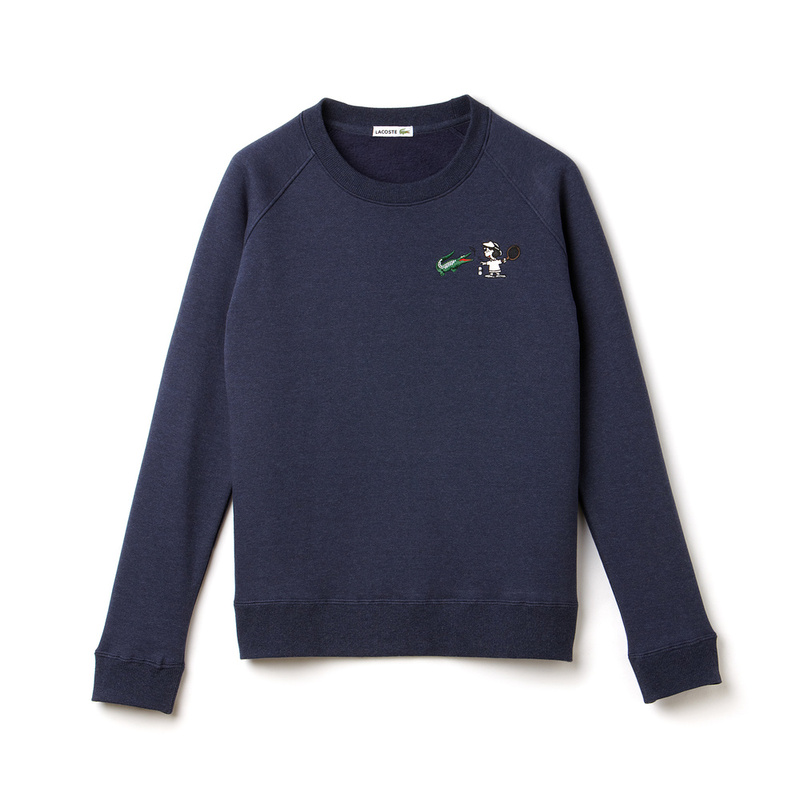 Hayato Kohama, director of Special Product Design Inc and creative advisor and overall coordinator for the Peanuts line, thinks “The Lacoste crocodile would fit right in with the Peanuts gang”. 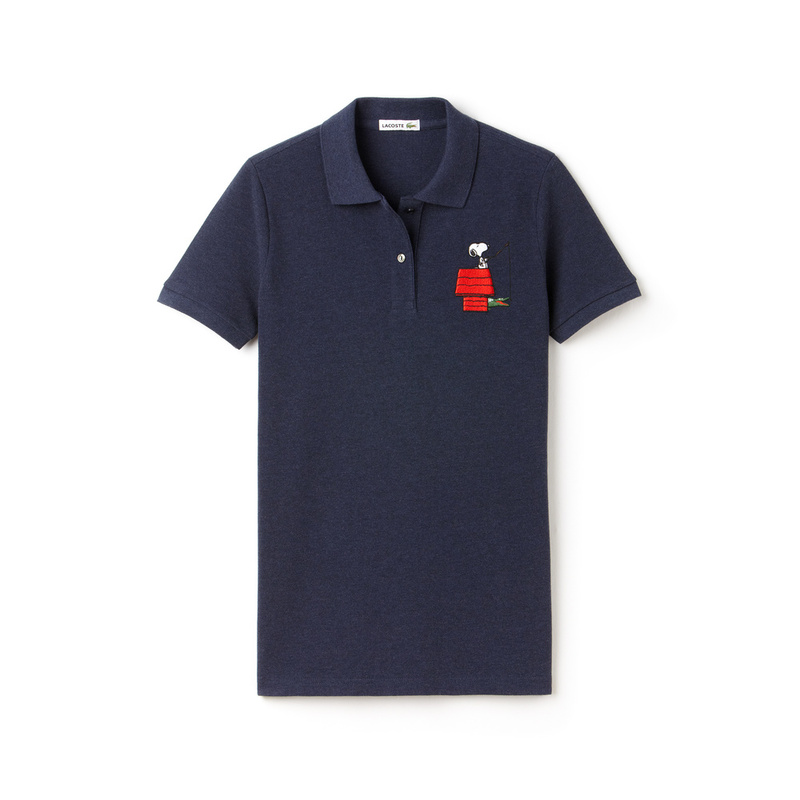 Embroideries immortalizing these 4 sketches adorn the emblematic polo which comes in 3 colors – white, navy and chiné grey for adults and white, pink and chiné grey for children – as well as a navy sweatshirt.